Legal documents were filed in Reno, NV on October 4, 2010 adding to the Temporary Restraining Order Motion that was filed earlier by Laura Leigh against Ken Salazar, Dept. of Interior, Robert Abbey, Bureau of Land Management and Ron Wenker, NV State Director of BLM. 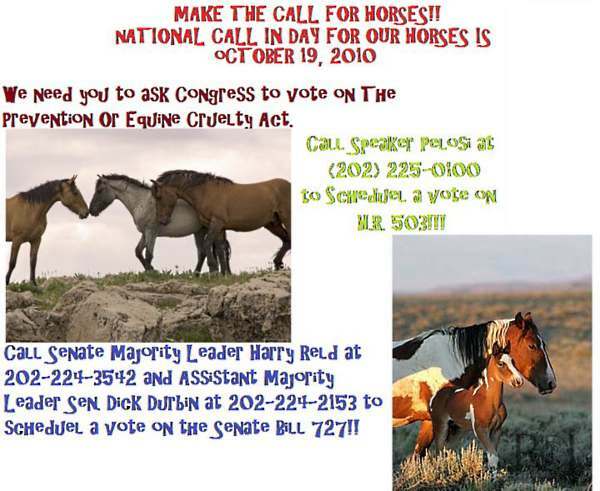 Caliente, NV, CRWE Newswire (October 6, 2010) – Today’s death of a mustang stallion at a U.S. Interior Department wild horse roundup is re-igniting controversy over the federal wild horse program, which has been harshly criticized, most recently by 54 members of Congress. Despite severe restrictions on the public’s ability to observe all aspects of the roundups, the death of the wild stallion was captured on video by wild horse advocates at the Silver King Herd Management Area in southeastern Nevada. Who is Sue Wallis and Why Should I Care? 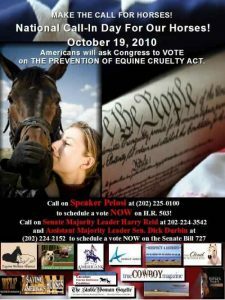 For the past couple of years now, various provocative and inflammatory “info-ads” have appeared in the New York Times,on Facebook, on bus shelters and billboards accusing the Humane Society of the United States (HSUS) of misuse of funds (including the funding of “terrorists”), of lying about giving financial help to local humane societies and animal welfare efforts, and manipulating Congress to promote its “vegan” agenda. 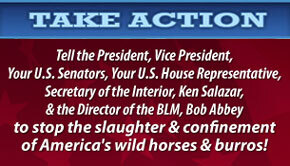 Join them in Chicago October 9-11 for presentations and screenings on America’s Wild Horses. This entry was posted in Wild Horses in USA on October 6, 2010 by Elke. 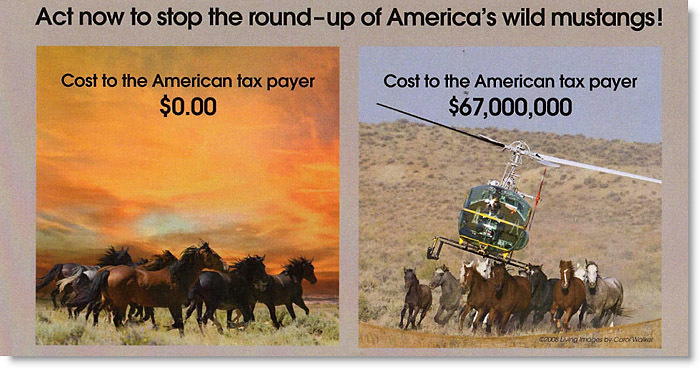 USA: Oct. 4 2010 Article from Maureen Harmonay: Are the Silver King wild horses disappearing? 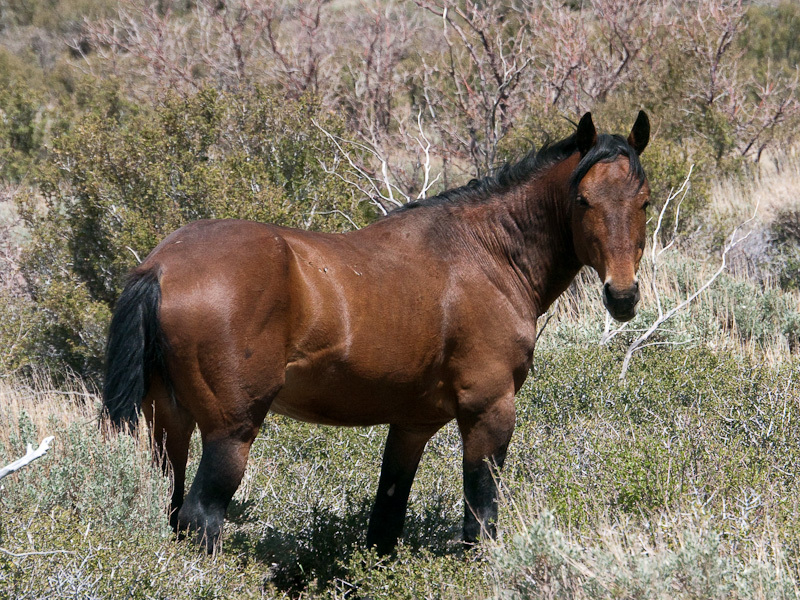 It’s bad enough that the BLM is capturing hundreds of perfectly healthy wild horses who are thriving in the 606,000-acre Silver King Herd Management Area south of Ely, Nevada. What’s worse is that some of the horses who have lost their freedom now appear to be missing. 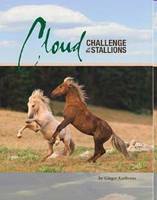 This entry was posted in Wild Horses in USA on October 4, 2010 by Elke. HOUSTON, (Horseback) – The federal Bureau of Land Management is holding wild horses captured during its “gathers” at a Utah state prison. 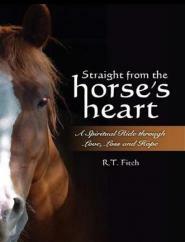 This entry was posted in Wild Horses in USA on October 3, 2010 by Elke.